At 9:00 on a Sunday evening in May of 1910, a chicken brooder became overheated on the porch of a house, which still stands at 418 Gravel Hill Road. This caused a fire in which the residents tried to battle. The fire continued to spread even with their attempt to extinguish. Calls for help were heard around the town. Townspeople came with cans of water to help fight the fire. Eventually, the fire was extinguished. The home suffered damage along with over one hundred chickens. The next night an informal meeting was held to discuss the organization of a permanent fire company. Residents attending the meeting donated ladders, rope, hooks, and poles. It was now official, the residents gathered to create a fire company to serve the community. 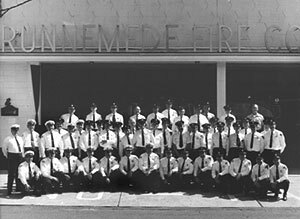 The following year on February 27, 1911, the Hope Fire Company Number One of Runnemede, NJ, was incorporated. Things started to happen at a very fast pace over the next few years. The fire company secured a wagon to carry the equipment that was donated and purchased by the members themselves. A new building was built on the Black Horse Pike in 1912. 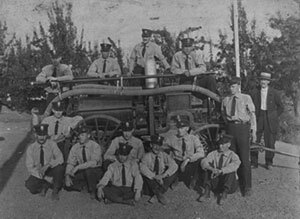 In 1917 the fire company purchased its first motorized fire truck. It was equipped with two 40 gallon chemical tanks. This started to increase interest in the safety of the community. 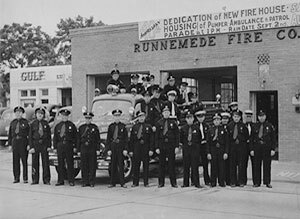 On March 14, 1922, the Hope Fire Company changed its name to the Runnemede Fire Company #1. The name in which still stands on the building today. After growing out of the building on the Black Horse Pike. The fire company moved into its present building on Second Avenue in 1960.